(Oct 27, 2004) TCCBOOT is slashdotted. 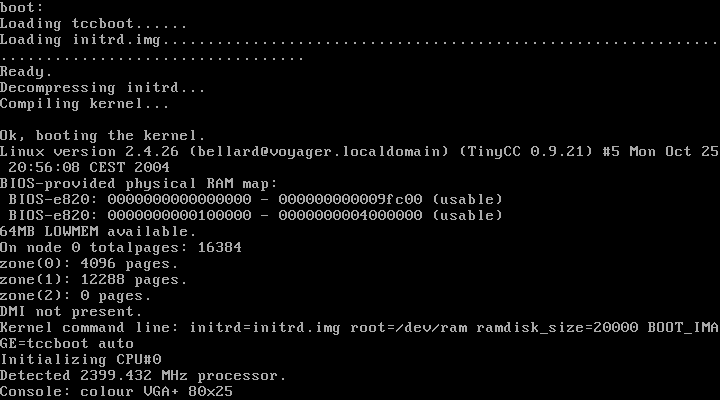 TCCBOOT is a boot loader able to compile and boot a Linux kernel directly from its source code. TCCBOOT is only 138 KB big (uncompressed code) and it can compile and run a typical Linux kernel in less than 15 seconds on a 2.4 GHz Pentium 4. TCCBOOT is based on the TinyCC compiler, assembler and linker. TinyCC is an experiment to produce a very small and simple C compiler compatible with the GNU C compiler and binary utilities. ISO image demonstation: tccboot.iso (5.9 MB). 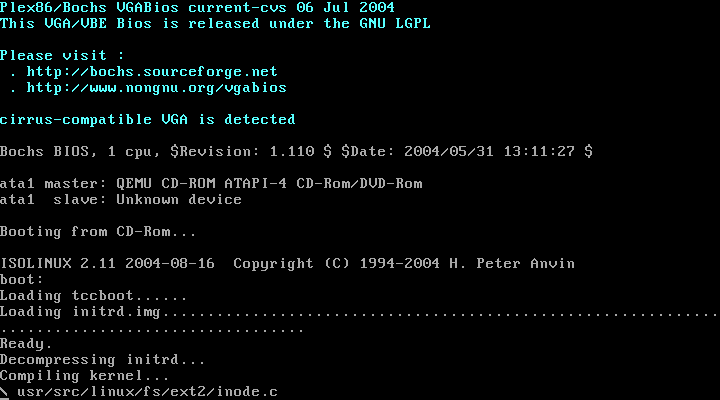 Create a CD from it and boot it to see TCCBOOT in action (PC with at least 64 MB of RAM required). You can also try it with the QEMU PC emulator. TCCBOOT source code: tccboot-0.1.tar.gz, and README file.